What is the highest possible score a player can make in a turn by placing a single tile? Assume language is English, using standard North American rules. ...However, that's not the best you can do. We're looking at the highest possible score. 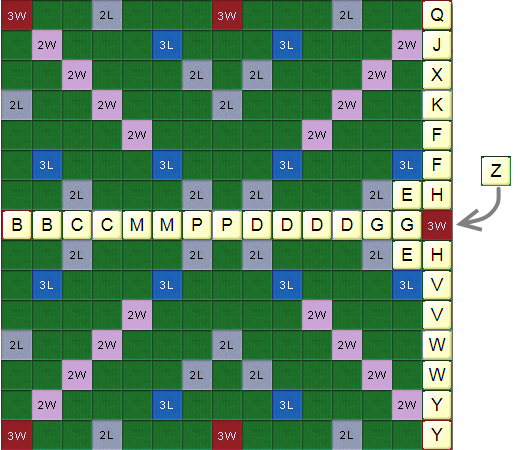 The rules of Scrabble do not prevent players from playing invalid words. There are rules for challenging someone you think has played an invalid word, and if the challenge is correct, the play will be reversed. But if players decide not to challenge, the word remains. In N-Tile Scrabble Records (Word Ways, May 1983, p.80), Kyle Corbin gives the following, for 231 points. All words can be found in Webster's Third. An S tile is placed into the # in the bottom right corner where there is a 3× word bonus. Not the answer you're looking for? Browse other questions tagged scrabble or ask your own question. 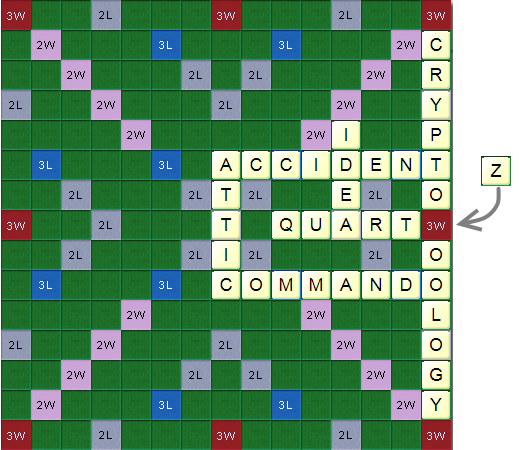 What is the longest word that can be made out of all the scrabble tiles?